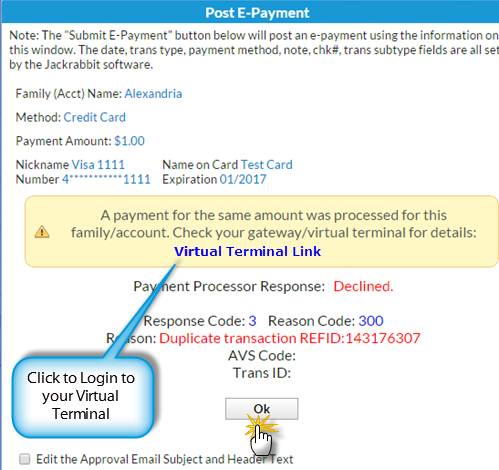 If you attempt to process a payment for the same amount for a family/account within a 1 minute period, you'll receive an error message that says, A Payment for the same amount was processed for this family/account. Check your gateway/virtual terminal for details. A link to your virtual terminal is provided immediately under this error message, so you can login and investigate.